When George Clooney’s “The Monuments Men” hit the big screen in early 2014, Winterset was delighted to recognize a local star from their own history books. Clooney’s character, Frank Stokes, was based on Winterset’s own George Stout. When Stout went back into active duty during World War II as a lieutenant commander with the Navy Reserves, he was 45 years old and had already served in the first World War. In fact, he was a married man with two sons, and his older son, Robert, also joined the military to serve our country during World War II. Stout was a world-class expert in the science of art preservation and restoration, and his expertise was needed for reclaiming the tens of thousands of pieces of artwork that had been stolen by the Nazis from across Europe. 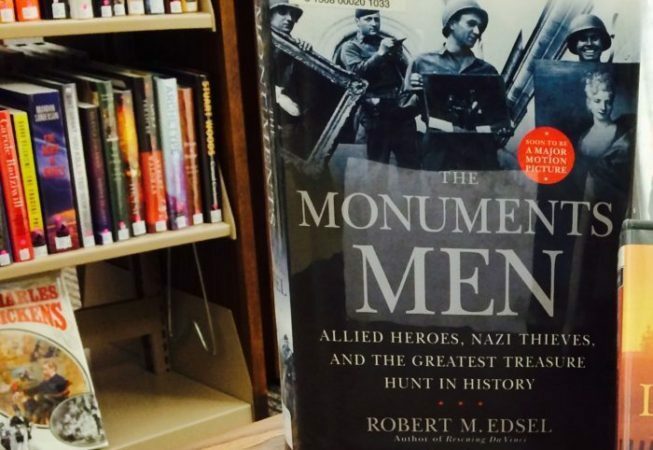 For the whole story, read the book “The Monuments Men: Allied Heroes, Nazi Thieves and the Greatest Treasure Hunt in History,” by Robert M. Edsel. Stout was born in Winterset in 1897. He was the oldest of six brothers, the son of Lulu McBride and Abraham Lincoln Stout and the grandson of Margaret Ross and Micaijah Stout. Stout’s parents and grandparents and younger brother Robert are all buried in the Winterset Cemetery.